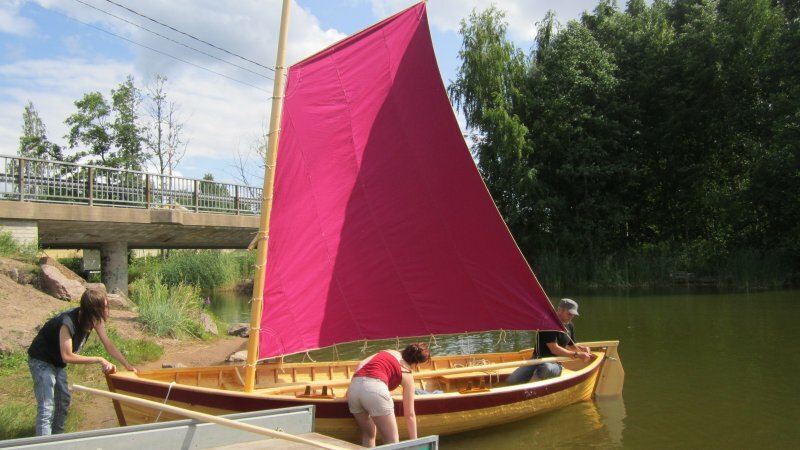 I built her in Hamina at Etelä-Kymenlaakso Vocational College (Ekami) for scholarly thesis during October 2012- May 2013. 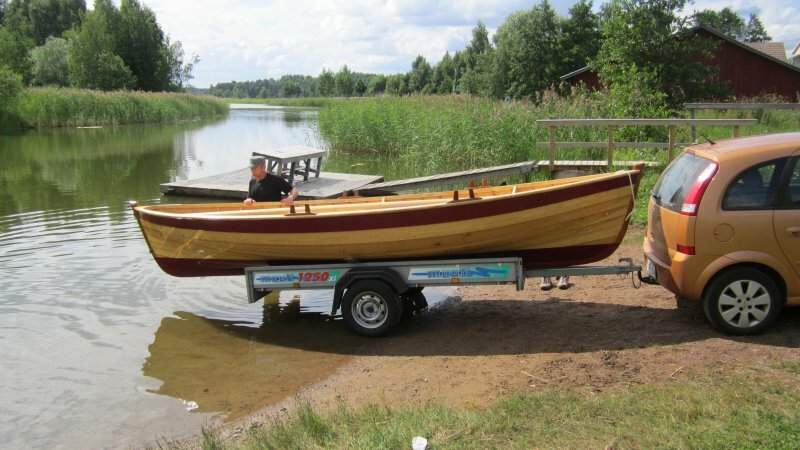 The boat was built from a half-model. The half-model was found in 1912 at Sommers. 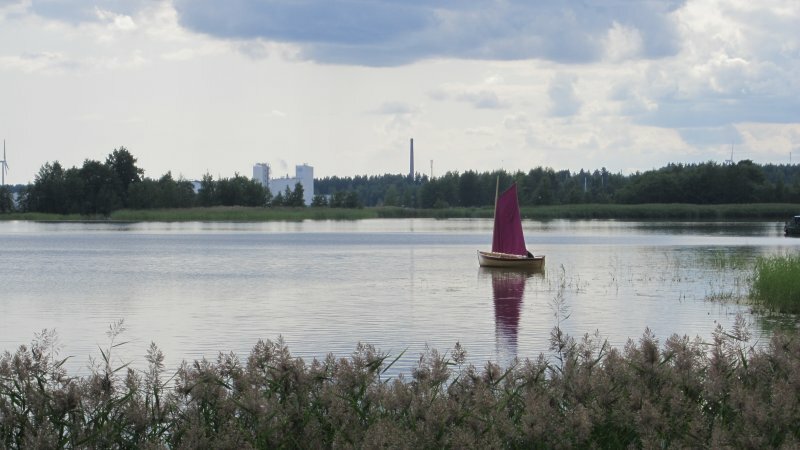 It is an islet and a lighthouse in the eastern part of the Gulf of Finland, and arm of the Baltic Sea, desiner unknown. She is a double-ender, lapstrake pine planking over ash frames. 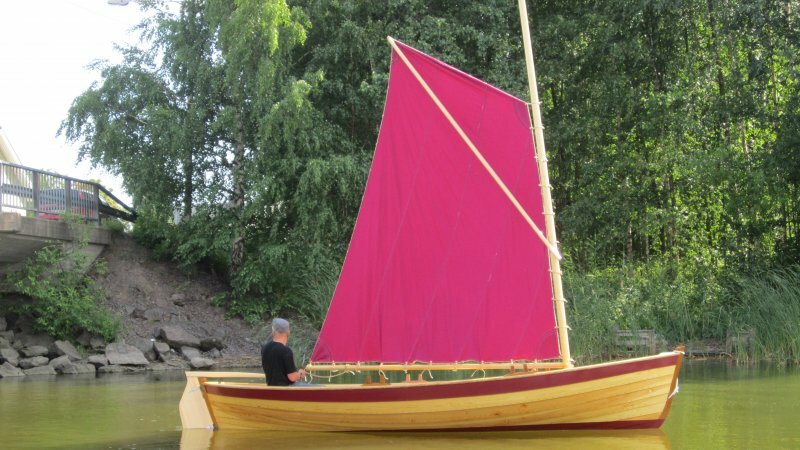 The keel is made from iroko, spars are spruce. 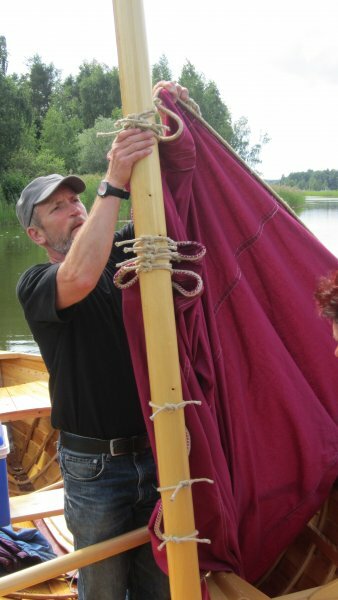 I sew the sail at home by myself from canvas.